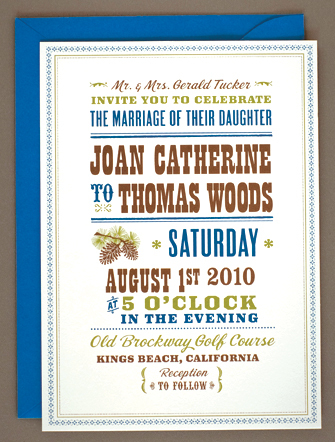 These retro style rustic wedding invites were inspired by the scenery of Lake Tahoe, and the design can be adapted for any woodsy, lakeside, or cabin wedding destination. The invitation was hand illustrated by Hello! Lucky, and additional coordinating paper details include announcements, thank you cards, reply cards, and menus.